Consultants know that their businesses are not as easy to start or run as is believed. They need a whole range of tools and expertise to run the whole consultancy. A consulting brief is one such highly powerful tool. The brief plays an important role in many ways, as you will soon see. It determines the direction the business shall take. Apart from that, it sets the foundation for relating or interacting with your clients, which is crucial for the success of the consultancy. 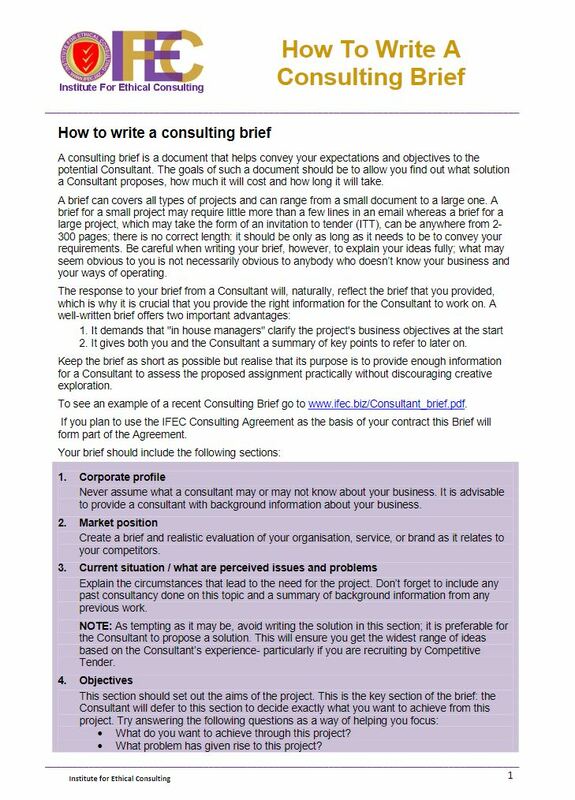 As you will see below, the brief is a huge asset to consultants in all niches. How does the consulting brief help freelancers to run successful businesses? The assumption by most people is that running a consultancy guarantees you limitless finances. The truth is some consultants make good money while others aren’t as lucky. The money earned depends on several factors including experience, training, and location. Nevertheless, as any top consultant would tell you, money isn’t everything. Instead, the best consultants have learned to appreciate the importance of relationships, which mean more to them than money. 2. What do you sell, results or services? The brief should also help you to tell your clients what you are selling or offering. For most consultants, the focus usually tends to be on selling services. However, this is not what the clients are really interested in. As you will learn, clients tend to focus more on what your services can do for them. Yes, your services will bring them in through the door. Only results will make them want to sit down with you and sign the agreement or contract. Earlier, you learned the importance of valuing relationships over money. Now, this doesn’t mean that money is bad. Otherwise, how will the business grow without money? Your freelance business needs both money and good relationships with clients. Do you know that clients will invest more in your relationship with them when you display your qualifications in the brief? Win their trust and confidence through your qualifications. A well-organized consultant has a higher chance of doing extremely well in freelancing. In some cases, clients may not be able to meet the consultant in person. This often happens with freelancers who offer their services online. In such cases, it becomes hard for clients to evaluate the consultant’s level of organization. However, the consulting brief can come in handy in such situations. Therefore, use it to show the world how organized you are! It’s true that some of your consultancy clients will welcome the tried and tested methods. They would not appreciate a reinvention of the wheel. However, many clients will give you carte blanche to do as you deem fit. For this reason, using the consulting brief to inform your clients that you are flexible either way would be great for your consultancy. Being overly rigid with some of your clients may not produce the desired results. Additionally, it’s good to learn to close all your deals. There’s nothing good about leaving your deals hanging. What the leading consultants know is closing deals enable them to set aside time and resources into getting new business. Furthermore, it’s just not enough to close a deal. Consultants must learn to close deals faster. In freelancing, time is of the essence. For this reason, learn to use it wisely by closing your deals quickly before moving on to the next one. 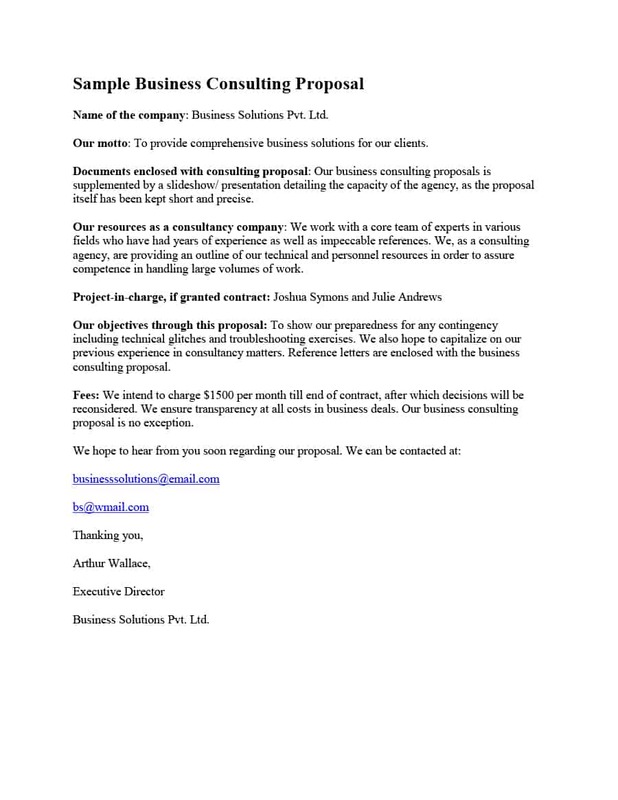 Use the consulting brief to organize yourself and make yourself the choice of your clients.